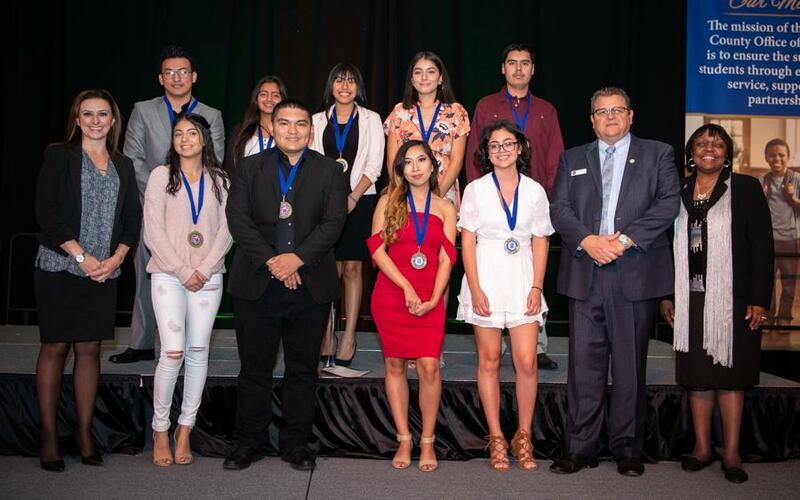 Forty-seven Hemet Unified students from Tahquitz High School, Hemet High School, and West Valley High School were recognized by Riverside County Office of Education (RCOE) for receiving the Seal of Multiliteracy. This prestigious award verifies that the student has a high level of proficiency in another language. The Seal will appear on college transcripts informing all of this marketable skill. RCOE’s intent to celebrate this accomplishment is to encourage the learning of all languages, contribute to a better global understanding, and emphasize the value of knowing multiple languages. Students had to submit an intent to apply form, complete an application and a five-paragraph essay in English, and participate in an on-demand speaking and writing event in English and the target language (Spanish for Hemet Unified) in order to apply for this recognition. 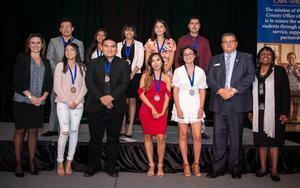 Students were then selected by a team from the county office. Foreign language teachers at Hemet, Tahquitz, and West Valley helped prepare students for the on-demand event and develop their essays. Staff members were thrilled with the number of applicants this year, which is almost double the amount of last year! Congratulations to the forty-seven Tahquitz, Hemet High, and West Valley students for achieving and receiving RCOE’s Seal of Multiliteracy, and the staff members that helped them throughout the process!